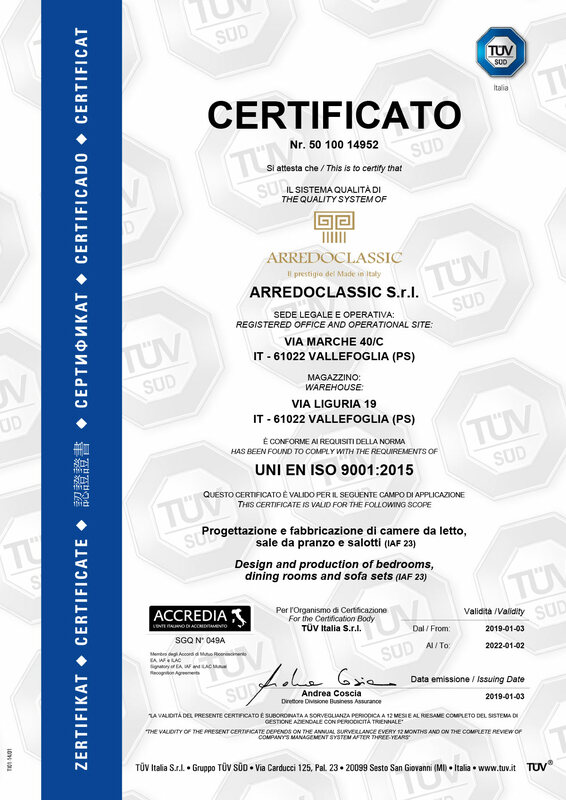 Arredoclassic has been certified UNI EN ISO 9001:2015, a quality system governing the “Design and manufacturing of bedrooms, living rooms and dining rooms”. The ISO 9000 regulations developed by the International Standards Organization find their application in the internal quality management system of a company with the ultimate purpose of leading the corporate processes, improving product manufacturing, and increasing service effectiveness while meeting the needs of the client. 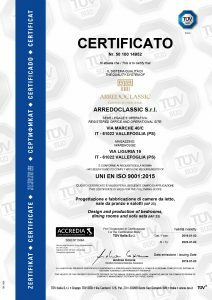 Essentially, the ISO 9001 certification means that the client and its satisfaction are the focus in terms of final use of the product.